Digital asset management, customisation and distribution, all in one. We Brand makes it easier for artwork to be accessed, personalised and distributed by your clients, with no risk to the brand’s visual identity or the agency’s intellectual property. It allows everyone to work from one central location, putting an end to time-wasting back-and-forth email correspondences. We Brand’s technology allows marketing materials to be shared with anyone involved in an organisation, with no risk to the visuals or to the content. Create or import existing artwork, and decide what elements can be changed, and how they can be edited. Make marketing materials customisable by your clients, as well as their team, staff members, representatives, influencers, and customers. Run multiple client accounts from the same dashboard and switch between projects easily. Store and give access to your clients’ digital assets as required. Images can be named, tagged and organised into folders. They are automatically resized to multiple versions, so that your team doesn’t have to work with heavy files. 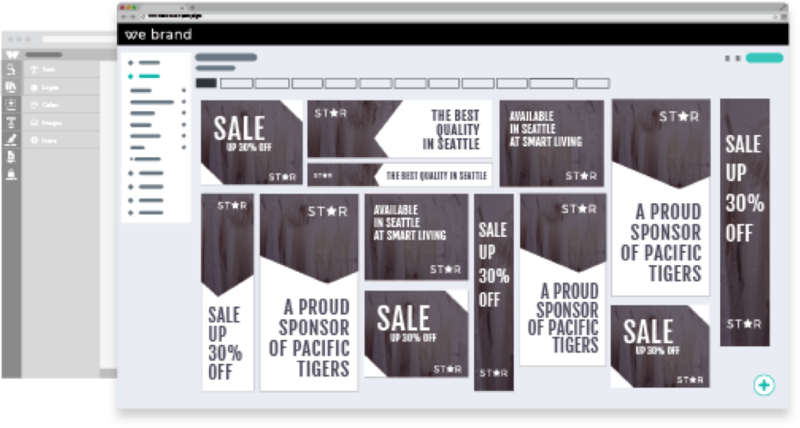 Store colour palettes and fonts and make brand consistency a no-brainer. Set up pre-defined text blocks, so that your team doesn’t have to retype, restyle and reproof-read textual elements. 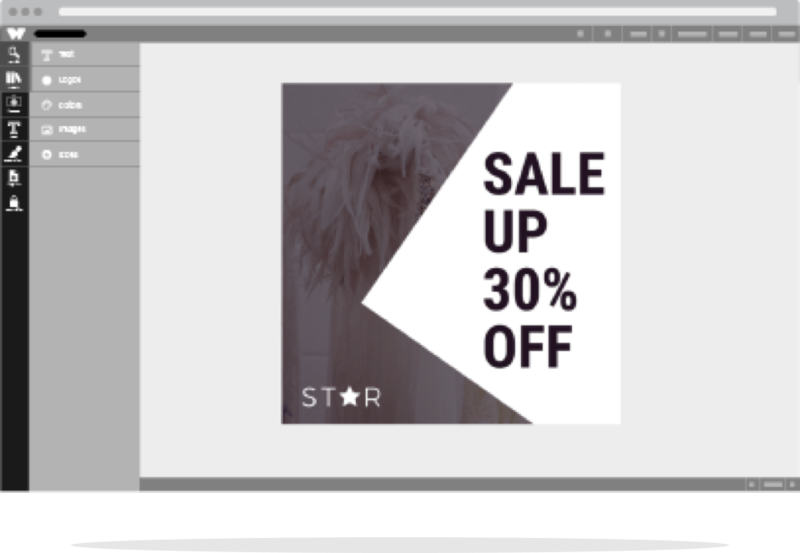 Make your artwork fully customisable, so that new versions can be created as required. There is no double work involved in creating templates. 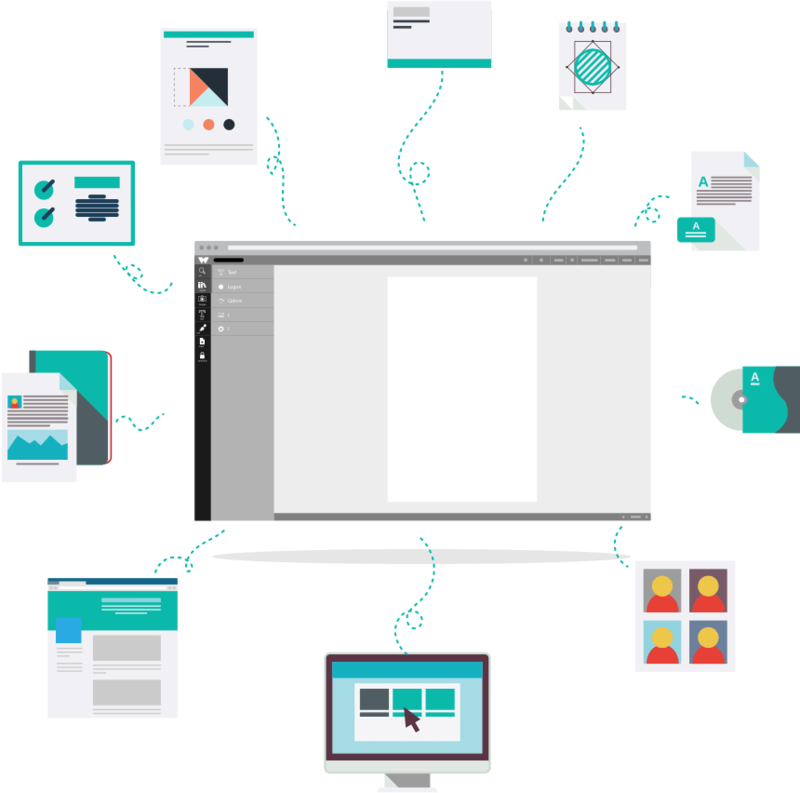 Any artwork your team creates on InDesign, Illustrator or Photoshop can be exported as a PDF and imported to We Brand in a few clicks. You will have a completely editable PDF that can be used as a template and shared as required. Gain access to an easy and intuitive interface that requires no internal training or set up time. Establish new client’s accounts in minutes, and provide them with a self-service approach to content creation. Set up restrictions to control exactly how the layouts can be modified by your clients, with no complicated software to download or coding required. We Brand allows companies to harness brand advocates through their own network. By allowing anyone to personalise branded materials, organisations will enable on-brand user-generatedcontent to be created where and when is needed, and the brand message to spread organically. Want to become a We Brand reseller? Get access to a free account for your agency and outstanding reseller’s commissions.